With the advent of low-code, making apps is becoming easier every day. This advancement has resulted in a boom in the number of “citizen developers.” I am reminded of when camera phones came into the market—everyone became a “professional” photographer. But, no matter how good your camera is, you’re not going to capture a great picture if your heart’s not in photography. App development isn’t any different. In this blog, I will discuss some of the methods that can take you from just being an average citizen developer to being a great one. All you have to possess is the drive to do it. Whatever app you’re building, its basic element is data. Two things have to be kept in mind while collecting data: people and process. There are the people and processes that contribute the data, and there are the ones that consume it. Segmenting the building process on these factors helps avoid clutter. Take the example of an e-commerce app—the customer’s details are collected in one form and the order is taken in another. You can correlate the details every time a purchase is made and analyze the customer’s buying habits. Fields are the channels through which data is submitted to the app. Most low-code development platforms offer various types of data-specific fields. These basically differentiate data by type, from simple text and number fields to complex date and formula fields. They improve user experience by providing fields that are tailor-made to accept specific data like rich text fields or to display real-time form outputs using formula field. Another benefit of using the proper field type is the ease of validating data. If a user enters characters in a field that only accepts phone numbers, the app will not accept it, thereby acting as a junk data filter. Every low-code language has a library of pre-built functions and methods. Getting familiar with these libraries can improve the efficiency of your code. How? These pre-built functions cut down on code by performing in a single line an action that would otherwise take several. For example, in the Deluge language, there is a built-in function called “houroftheday,” which returns the hour of the day from the data provided. If you were to manually code this function, it would require 10 lines. Efficient developers see that human interaction with the app is kept to a minimum, which reduces runtime and errors. This is where schedules come into play. Use schedules to perform tasks based on time and external triggers. A sales management app, for example, can be scheduled to deliver monthly reports. Instead of having a person email a warehouse whenever a product is purchased, an order management app could be coded to send an automatic notification. Think of this before you write a line of code: Can it be used for another scenario later? If the answer is yes, then you should be making a function with that code. A function is a reusable code snippet written to tackle similar recurring tasks. Since its scope is not limited to one application, you can just “call” it at different instances. A function created in any of the low-code platforms can be called in any app developed on that platform. This way, the same code need not be rewritten every time a specific task has to be done. Always test your app, however small the changes you make to it. Running your work in a testing environment (sandbox), or making a copy of it before pushing it live, is a critical habit. Once you test it yourself, share it with people who were not involved in its development. They will help find mistakes you overlooked. This exercise will ensure that all the effort you put into making the app doesn’t go to waste due to some minor glitch and can even save you from the embarrassing situation of data loss. 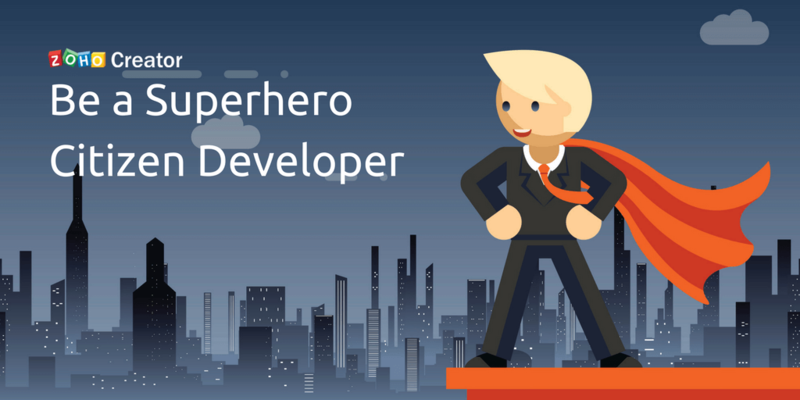 A decade of internal practice and interacting with our customers and partners at Zoho Creator has taught us that these seven habits are what make a successful app developer. We hope you’ll find our experience useful in your own projects.